Cleantech Invest portfolio company Nuuka Solutions has established a subsidiary company in Los Angeles, CA. The Californian subsidiary will be a joint effort between Nuuka and Ms. Marylou Garcia who will be spearheading the efforts to bring yet another Nordic technology to American shores. Cleantech Invest owns 34% of Nuuka. Nuuka, who will own 51% of the Joint Venture, is a data software and platform company operating in the rapidly developing smart building sector. They have realized significant growth in the first two quarters of 2017 and are poised to continue this growth into the second half of the year. California is leading the United states in Cleantech adoption, and businesses such as Nuuka continue to see the greater Los Angeles area as one of the key markets to tackle if they want to become a leading player in the cleantech movement. 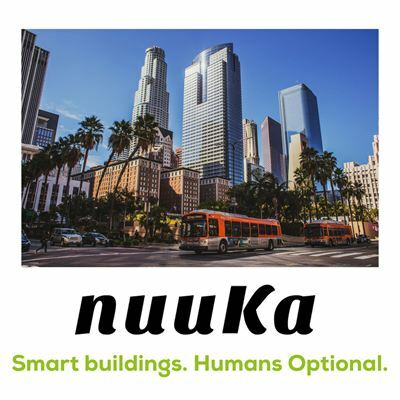 Nuuka is doing their part by making smarter and sustainable buildings a reality in the United States. Marylou Garcia, CEO and President of Nuuka Inc., has an MBA from Wharton and is well established in the California market. She is also the Managing Director for Expense Reduction Analysts, Los Angeles – an enterprise that helps organizations put additional cash flow to work by further lowering supplier costs, without any compromise to quality and service. Through partners and alliances, Nuuka Inc will be able to reach thousands of potentials customers in the United States.